'December snow.' 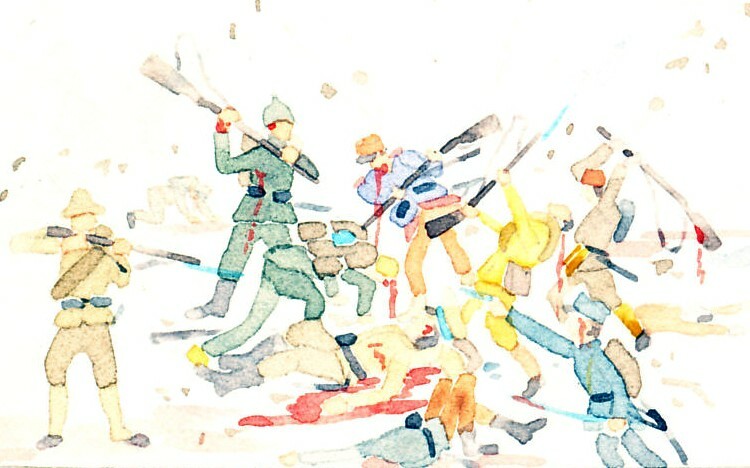 Hand-painted watercolor calendar for December 1917 by Schima Martos. 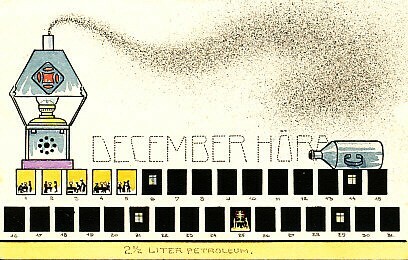 Particulates from a smoking kerosene lamp overspread the days of December, and are labeled 'December höra,' 'December snow.' The first five days or nights of the month show a couple at, sitting down to, or rising from a lamp-lit table. The rest of the month the nights are dark, other than four in which the quarter of the moon shows through a window, or Christmas, when the couple stands in the light of a Christmas tree.